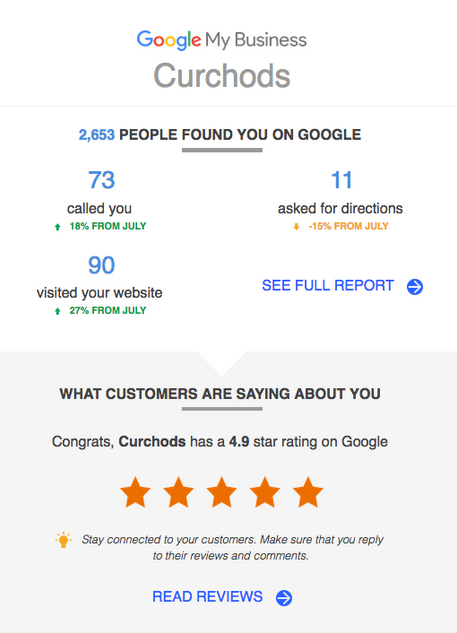 ...from the 'front line' to gauge just how well your review management strategy was performing. Now there has been a significant move by Google that helps us both. 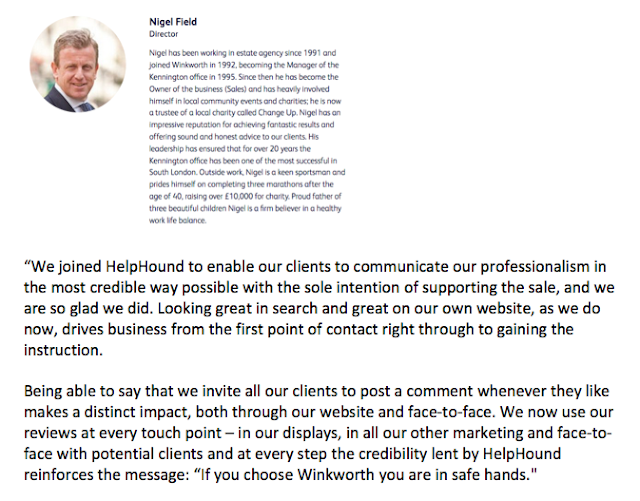 The single most important thing about this report for Curchods is that it has shown - in hard numbers - the uplift in calls and visits since they implemented HelpHound (that's why their marketing director sent us this screenshot). It will be the same for every business that joins from now on. Measurable results. 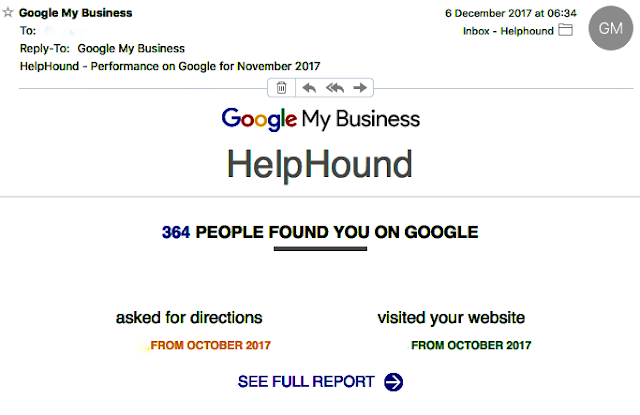 If you are uncertain as to who in your office is in receipt of this report (as so many businesses often are) just speak to Karen Hutchings here at HelpHound and she will explain how to establish exactly whose inbox it is in. London's No. 1 Restaurant - does not exist!